Have a new baby on the way? It won’t take long to see just how expensive having a baby can be but there are lots of things you can do to help ease the upcoming sticker shock that is not for the faint of heart – it is estimated that during the first year of life a new baby will cost your family around $12,000. Whether you have strong financial stability or you are exploring a very frugal baby budget we can help show you several ways to save money on baby products. 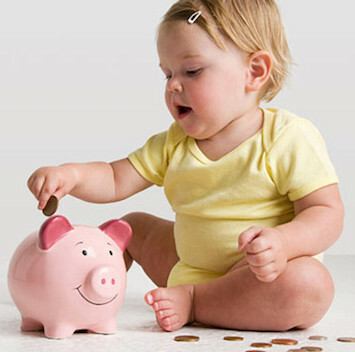 Having a baby doesn’t have to be as expensive as you may think but you need to learn to begin saving for your baby now. 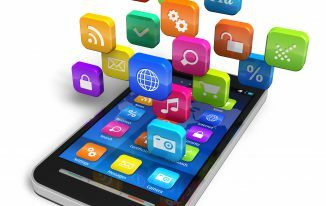 Keep in mind that not all the savings techniques discussed here are going to apply to your specific situation. Pick and choose the ones you feel most comfortable with and be flexible to changing or adjusting as needed. 1. Utilize a Baby Calculator – Click HERE for a nice free one. It allows you to get a basic estimate for the total cost of your little bambino. More importantly it makes you think about expenses that you may have over looked before. You may also look for a good baby budget checklist which will help you remember what you already have and what you still need. 2. Start Now! – First and foremost if you have a baby on the way then you should start budgeting for it today. 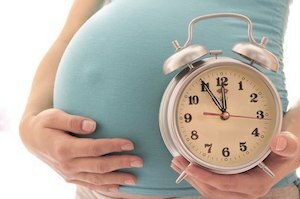 Don’t wait until the last month of pregnancy and then stress yourself out by playing catchup. There are lots of things you can start doing right away (discussed below) and many of them will cost you little to nothing (but your time). Spreading out the cost for 9 months will help you develop a budget and reduce the need (and stress) of purchasing everything last minute. 3. Talk to Friends and Family – Especially those who have children of their own. Many of them may have bags and bags of baby clothes or supplies in their basement that they would love to get rid of. We had a co-worker that gave us a ton of free baby clothes and saved us a small fortune in the process. Asking around will cost you nothing and you might be surprised just how generous people can be. 4. Yard Sales / Flea Markets – Hit your local flea markets and load up on cheap baby gear for a fraction of the retail cost. We found baby clothes for .25 to .50 each and sometimes we were able to negotiate even lower when we bought a full box of items. 5. Look on Craigslist, Freecyle or Ebay – There are lots of people out there looking to unload their used (and sometimes new) baby gear at a discount. These three sites are great places to start looking especially if you are looking for something very specific. Just beware that shipping fees can really put a damper on what looks like a good deal. 6. Caution – Don’t Buy Too Much Clothing – It is very tempting to buy all kinds of cute baby clothes but there are some reasons to take it easy. First, you don’t know exactly how big your baby is going to be and thus you may buy clothes that are too small. Second, babies grow so fast and we personally purchased clothes for our kids that they never even had a chance to wear before outgrowing them. 7. Hit the Clearance Section – Retailers such as Target and Walmart seem to always have loads of baby clothes on clearance for a fraction of their original retail prices. Avoid paying full price at all costs! 8. Don’t Purchase Expensive Footwear – We have seen baby Nike sneakers for $30-40 and that is a lot of money to pay for shoes that will never touch the floor and will not fit in only a few months. Save your money and stick with socks or basic shoes that can be purchased for just a few dollars. 9. Hold a Baby Shower – This is a much especially for your first born. Friend and family go absolutely crazy when a new baby is on the way and this is your opportunity to get as many items checked off your want/need list as possible. Make sure you absolutely set up a registry with local retailers so you can avoid getting duplicate items that will later need to be returned. Also, think big. Try to see if you can score some of your larger needs (furniture, stroller, car seat, etc.) so it will save you from needing to purchase these items out of your pocket. Lastly, ask for gift cards if people are not sure what you need. This way you can decide later how to spend the money when you have a better handle on what your most pressing needs are. 10. Start Small – While it is nice to get as much as you can out of the way before the baby is born it is not essential to get everything. You may find yourself with a bunch of baby stuff that you cannot use yet (the baby will be just too young). So, make of list of needs/wants for different stages of the baby’s life to help you not get overwhelmed. 11. Sign Up For Baby Freebies – There are numerous baby websites that offer lots of freebies for new moms. This is especially true of baby formula companies such as Enfamil and Similac. Get as much as you can free as you will soon learn that baby products such as formula becomes a major expense. 12. Look For Baby Coupons – One of the most popular coupon categories is baby products. 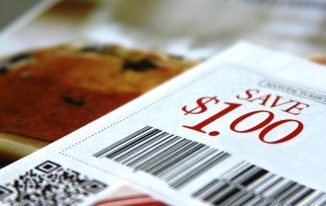 There are almost always coupons available for products such as diapers, wipes and baby food. 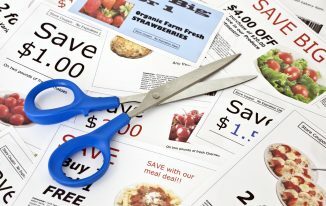 This includes printable coupons as well as baby coupons available through the mail. 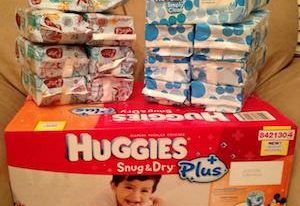 You should always do whatever you can to reduce the cost of items that you will purchase frequently such as diapers and wipes. Even small savings in these areas will result in big savings over time – and they will be in diapers for several years. 13. Buy in Bulk – Buying in bulk through warehouse stores such as Sam’s Club or BJ’s is a great way to save money especially on baby items such as diapers, wipes and formula. Just be careful not to buy too much of any item(s) that are perishable or that the baby can outgrow. 14. Breast Feed – If you are able/willing then consider breast feeding your baby. Not only is it the best form of nourishment for your child but it is also a major money saver. Baby formula is super expensive and avoiding this expense for the at least the first 6-12 months will save you big time. Also, if you are looking to purchase a breast pump then consider looking for a used one. A quality pump will cost you several hundred dollars but a used one will cost you a fraction of that. 16. Use Cloth Diapers – While we never went this route we have heard from many that handwashing your own cloth diapers is much cheaper (and much more environmentally friendly) than using disposable diapers. Just keep in mind the cost, time and effort needed to hand or machine wash these. 17. Research Large Purchases – Do your homework! Large baby purchases (such as cribs or strollers) can almost always be found somewhere else cheaper. Not to mention it is always smart to read customer reviews on higher end items to make sure it is exactly what you are looking for. Trust us – we are guilty of purchasing several baby items that turned out to be a complete waste of money. 18. Price Matching – So you’ve done your homework and know exactly the stroller you want to purchase. Before you put down your hard earned money consider looking into two things: First, can you find it used somewhere cheaper? Second, if you insist on purchasing a new one look for it online cheaper and then ask your local retailer to price match it. Most of the major retailers (Walmart, Target and Babies R Us) will price match a competitors price and this includes online prices from websites to include Amazon. 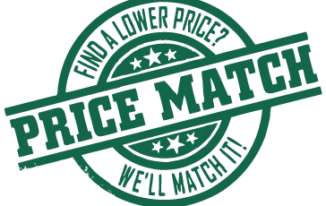 We use price matching all of the time and it has saved us hundreds of dollars throughout the years. Don’t leave more of your money on the table than you need to. 19. Shop Online – Whether you want to admit it or not online shopping is king and one of the best ways to save yourself some money. Again, make sure you look over product reviews as one major disadvantage is the inability to ‘test drive’ your purchase before making a commitment. Also, keep an eye on the shipping fees as they can be very high (especially on heavy or bulky purchases). 20. Make Your Own Baby Food – We never got into making our own baby food but had several friends that did so and claim it saved them money and the food was heathier (no preservatives or additives). There are numerous baby websites out there that provide tips and tricks to making your own food. 21. Keep a ‘Go’ Bag in Your Car – This move saved us from plenty of unnecessary baby purchases over the years. Keep a ‘go’ bag in your car and load it up with baby basics such as diapers, wipes and a few changes of cloths. This way if you are out and about and an accident happens you will have what you need to get you back home without needing to stop off at the local CVS and inevitably paying full price. Trust us on this one. 22. DIY Baby Décor – Buying all that cute baby décor at your local retail store can be very expensive. Instead consider looking around websites such as Pinterest for do-it-yourself projects that will cost a fraction of what you will pay at the retail store. Plus it allows you to add your own personal touch to your baby’s nursery! 23. 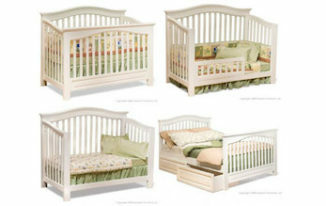 Purchase a Convertible Crib / Bed – While it may cost you more upfront you will certainly see savings as your child grows into a larger bed and all you need to do is purchase a new mattress and not an entire bed set. We bought a set for our second child that converted from a crib, toddler bed and even into a twin sized bed. Saved us some serious money. 24. Check Your Local Library – Looking for something fun to do with your baby? Check your local library for community events and reduced tickets for local attractions. Our local library always has free events available and this saves us money while still allowing our kids to get involved in social activities. 25. Ask Yourself Do You Need It or Just Want It – The bottom line is having a baby can be very overwhelming (emotionally and financially). It is so easy to overspend on things that you really don’t need. If money is tight then make sure you ask yourself if you really need the item or just ‘think’ you need it. This can help save you from impulse purchases that can really add up.